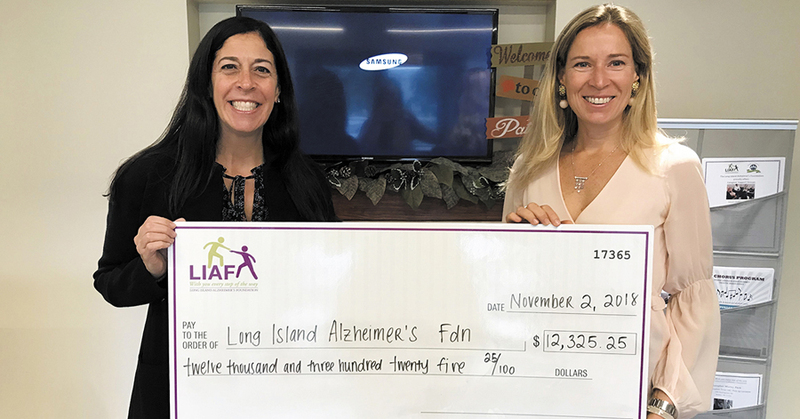 LIAF was featured in LIBN "On Our Island: Nonprofit highlights of the week". Continue reading to learn more. Kelly DeBusschere (right) presented more than $12,000 to Tori Cohen of Long Island Alzheimer’s Foundation, which DeBusschere raised by completing 17 ascents of Vermont’s Stratton Mountain – the vertical equivalent of climbing Mount Everest.